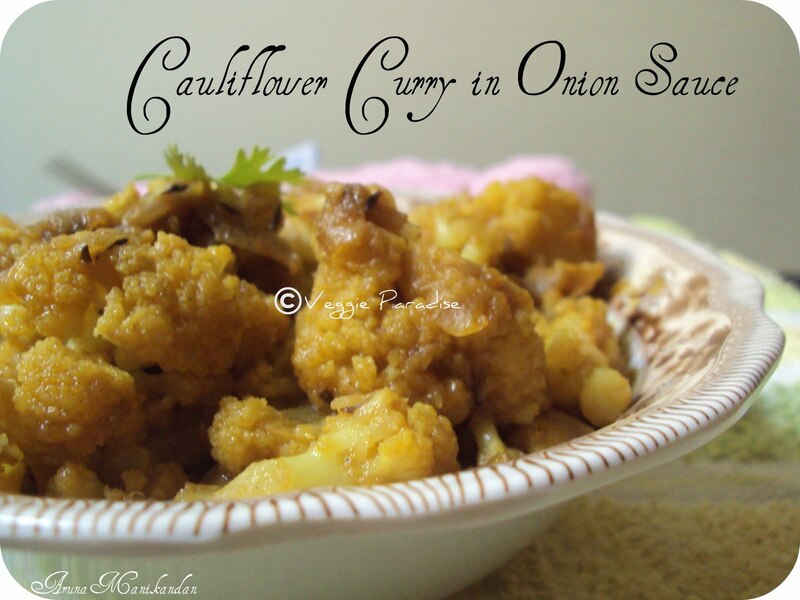 This is a simple and easy curry with cauliflower . We normally chop the onions for any type of curry/subzi we prepare,but this way tastes different when these cauliflowers get cooked in onion sauce. Coming to sauce ,it is nothing but grinding the onion. How to prepare this Cauliflower Curry ? Add these cauliflower florets with sufficient water and turmeric powder.When the water starts boiling,remove from flame .Drain the water and keep it aside. Chop the onion, and grind it coarsely. Add the florets along with sambar powder and salt.Mix it gently. Add little water, cover and cook in low flame. Keep stirring occasionally,until the water gets drained off and the cauliflowers get cooked. Finally garnish with fresh coriander leaves. If you want it more spicy , you can add chilli powder to it. It looks amazing... I love cauliflower and this is perfect! Looks too good dear ! with easy and simple ingredients this really looks delicious side dish. Love this curry made with so few ingredients.Looks delicious. Simple and lovely dish with few ingredients! Love curries with onion sauce..
looks delightful- should be yumm with rotis or hot rice ! Lovely recipe dear.. looks soo tempting !! 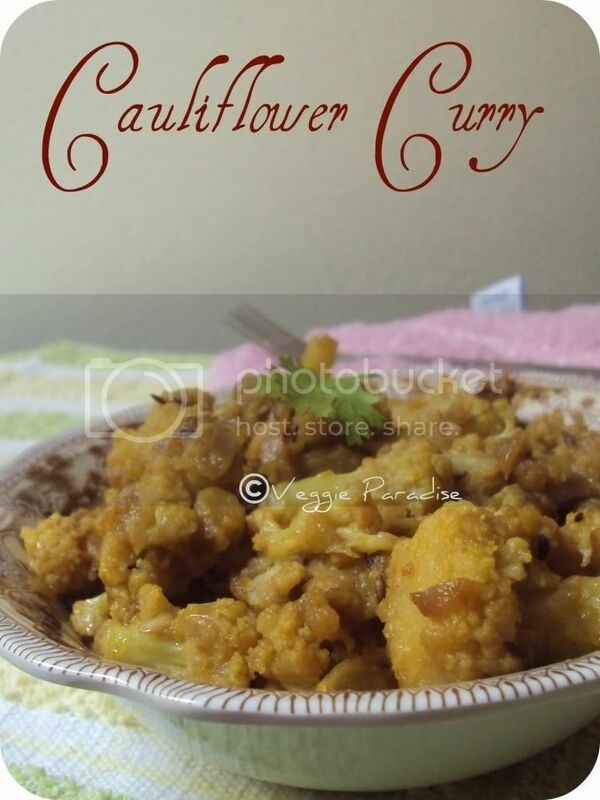 cauliflower curry looks delicious. Love them. This is so easy to make & looks too yummm!!! oh wow ,this looks great! Simple and delicious curry..looks wonderful. 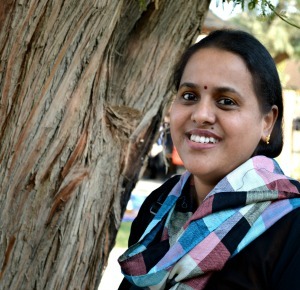 Gobi sabzi truly looks and sounds delicious...YUM! Can have this curry with anything, simply inviting..
Nice and perfect with rotis !! thatz a cool way to make the usual cauli! Curry looks great and I love the fact that it needs only a few ingredients. 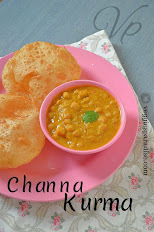 Totally different recipe..looks awesome..I ll try this recipe soon..
you have a nice blog here..
Looks very simple Aruna. I always take my favourite veggies and ust start cooking. I simply add whatever ingredients come to me at that time. Many times, this creates new dishes!